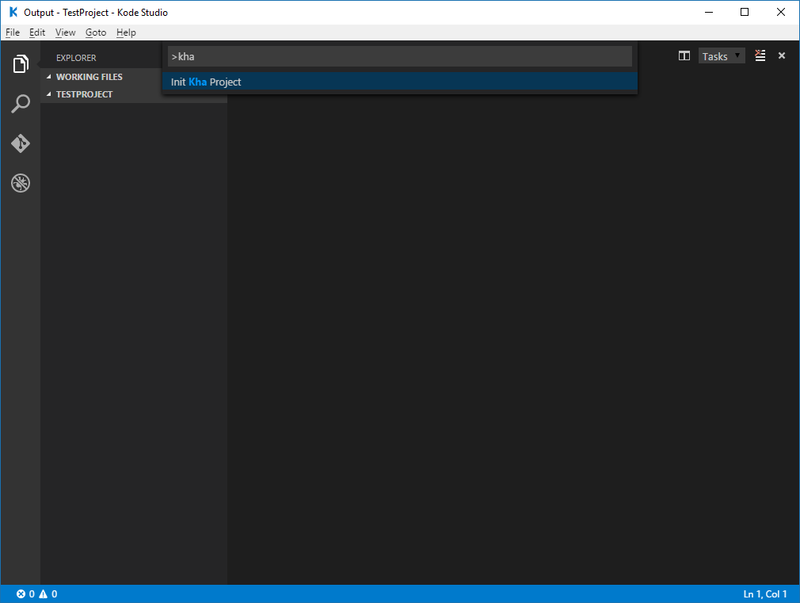 To get started with Kode Studio, just unzip the archive, start the executable and open a directory (File -> Open Folder) containing a Kha project - or open an empty folder and hit the “Init Kha Project” command (Press F1, type Kha, click it). To debug open the debugging panel (the bottom icon on the very left) and click the green play button. Code completion will work after your first debugging session. 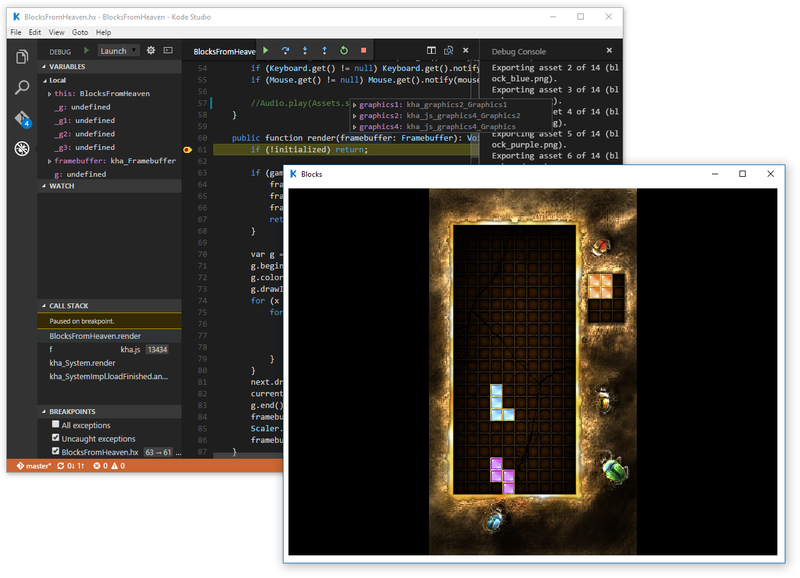 We hope you will enjoy developing in Kode Studio but as mentioned before, this is a very early release. Please tell us about any problems you encounter. Is the fork necessary? Couldn’t it be an extension? Currently it could be an extension for the most part, there are about 20 lines of code outside of extensions right now. But that is not were Kode Studio is headed. All functionality of Kit (Kha’s previous GUI tool) will be integrated. The IDE will be tightly coupled to Kha’s and Kore’s build systems. Much of that can not be done in extensions. VSCode is a strong base but it’s also a cage that has to be blast open to do Kha justice. Is this a general Haxe IDE?